Many people don’t always think of beauty when they think of South L.A., but I see it differently. Here are pictures to me that show the beauty of South L.A., through my eyes. 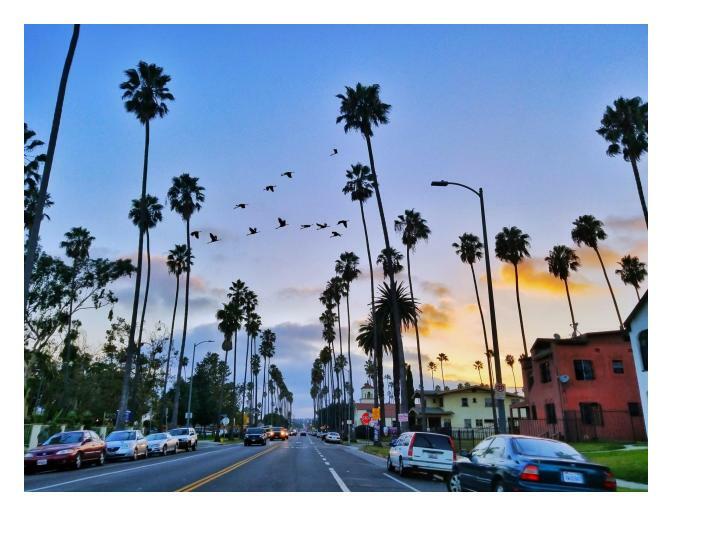 Photo credit: Ricardo Barrera Pelicans and palm trees in South L.A. at sunset. Photo credit: A Moore, Augustus F. Hawkins High School at 6:00 PM in January after a light rain.